Winter is officially behind us here in the Glendale area. That means pool owners all over Arizona will soon be thinking about restarting their pool for the summer recreation season. If you’re already planning summer barbecues, pool parties, and graduation soirees, you may be eager to reopen your slumbering pool so that it can provide a sparkling backdrop to all of your festivities. 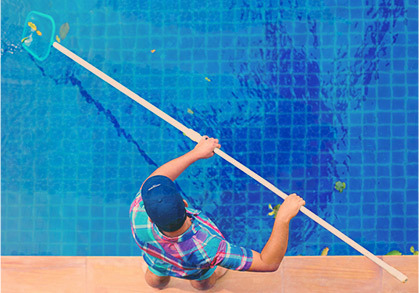 Spring is a very exciting time for us here at Universal Pool Service in Glendale, and we want to make sure that your swimming season gets off on the right foot. It’s very important to conduct a thorough pool inspection every spring before you open your pool for fun in the sun. If this is the first year that you’ve owned a pool, you may not be 100 percent confident in how to un-do all the things that were done during pool winterization (you DID you have your pool properly winterized by a professional pool service before you closed it for the winter, didn’t you?). That’s why we always recommend leaving these details up to the pool technicians at Universal Pool Service in Glendale. Keep reading for the most important things to keep in mind when opening your pool after it has been closed for a while. And if you want to make doubly sure your pool pump, walls, heater, and filters are all in good working order, be sure to call the experienced technicians at Universal Pool Service. 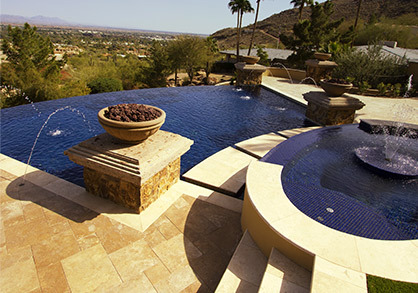 We’ve been cleaning, maintaining, and repairing pools in the Glendale area for many years, and there’s a reason why we’re known as Arizona’s best. Each one of these steps is absolutely necessary to ensure that your pool is in good working order and properly sterilized before any human being submerges their body in it. If any of these steps are neglected, you risk turning on your pool with equipment that’s malfunctioning or broken, or chemical and bacteria levels that are out of whack. As you might imagine, a lot of weird stuff may have made its way into your stagnant pool water over the winter. The last thing you want is to put one of your pool guests in danger because you didn’t follow the steps for de-winterization correctly. If you’re unsure of what each element of your pool system is for, were not involved in its winterization, and/or have never been responsible for chemically balancing and shocking a pool before, we encourage you to save yourself a lot of time and heartache (and probably money, too) by calling the pros at Universal Pool Service to open up your swimming pool in the coming weeks. We have the skills, experience, and tools to do it correctly the first time. 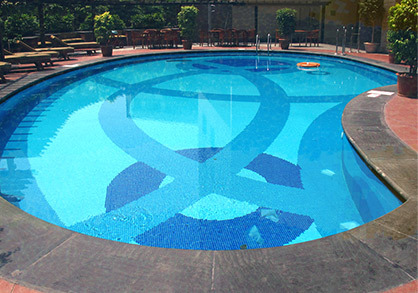 In fact, why not sign up for regular pool service throughout the year while you’re at it? That way you can sit back and enjoy the summer without a care in the world!